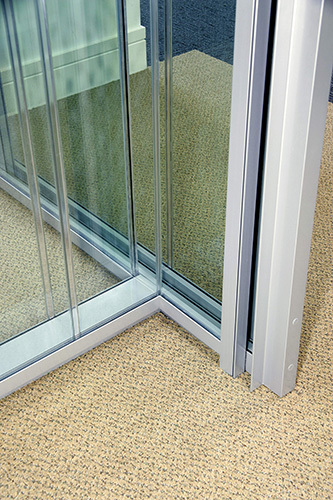 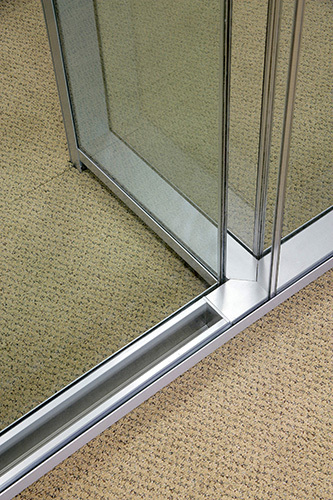 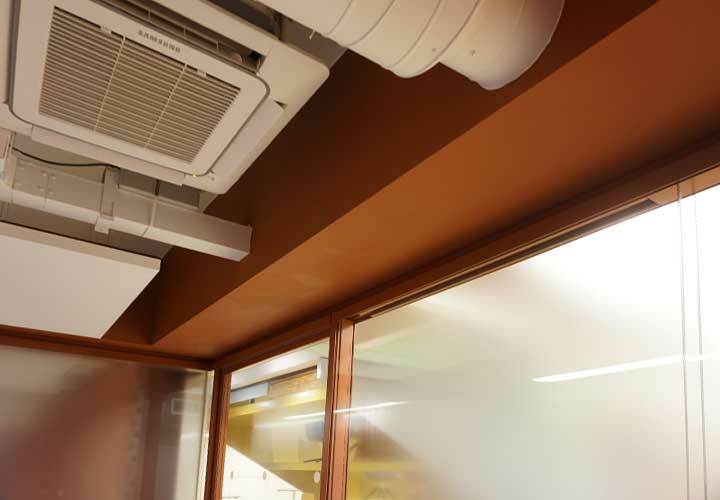 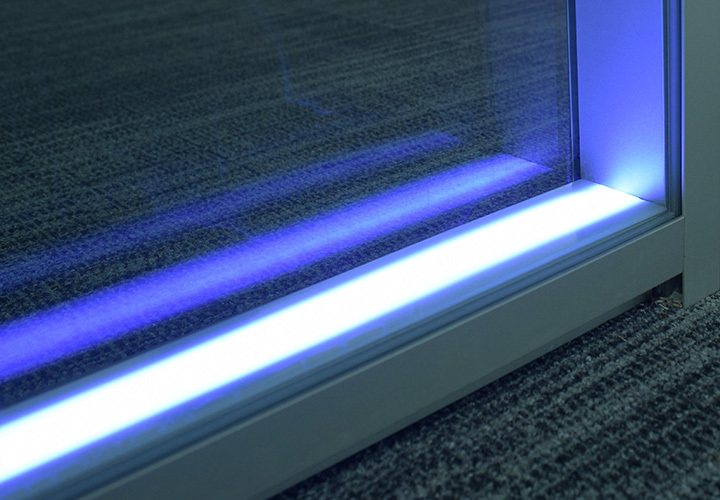 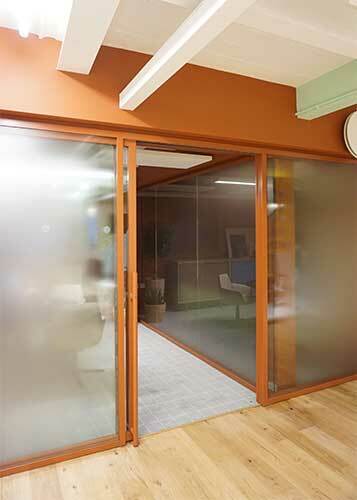 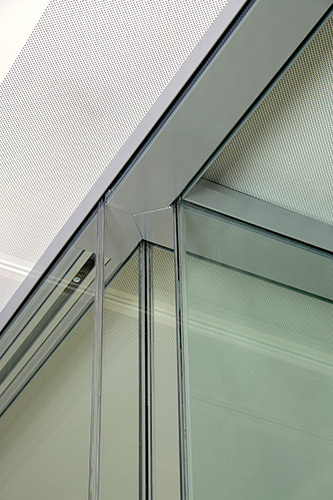 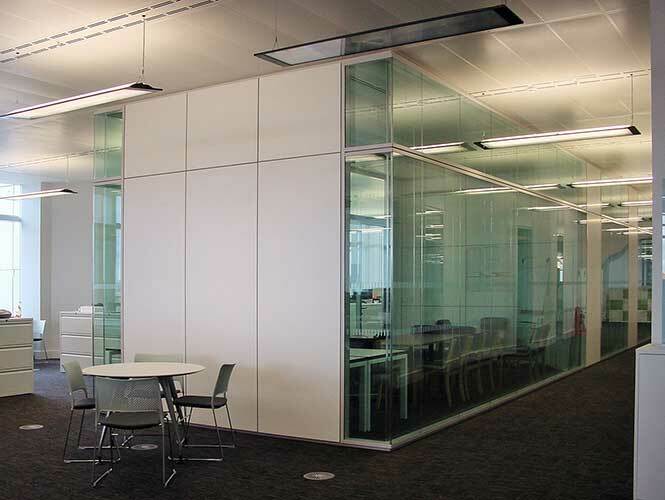 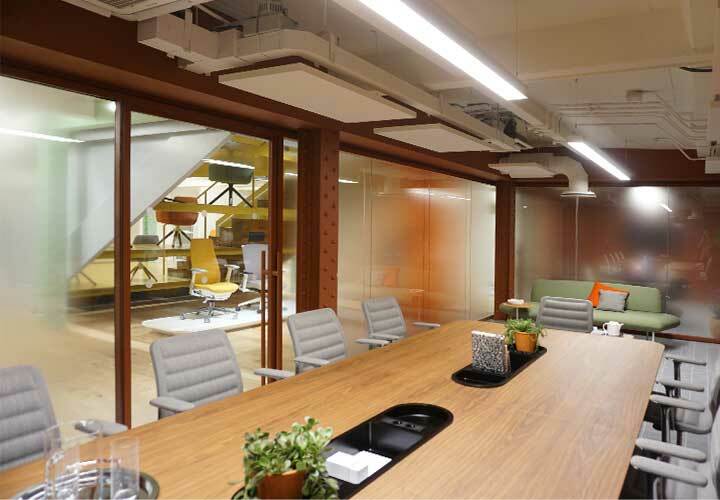 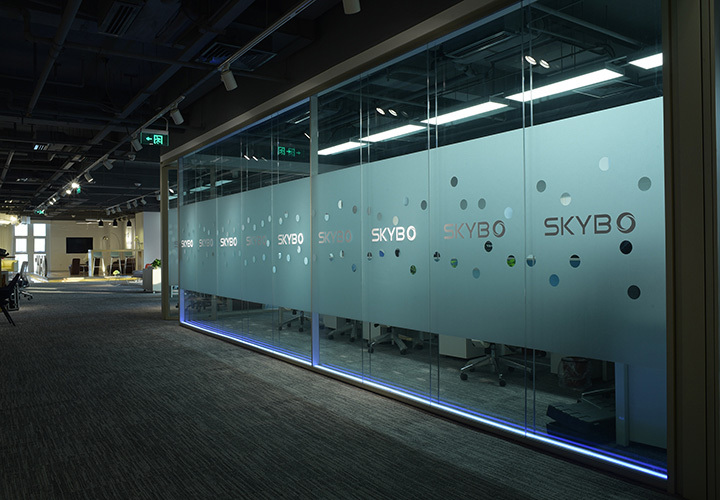 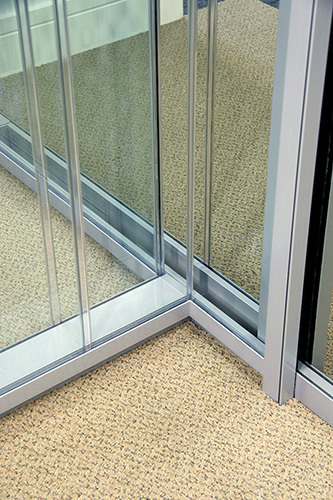 Characterized by the use of “dry joints” between glass panes, two or more glass modules can be installed between floor and ceiling profiles with corner and 3 way vertical joints to match. 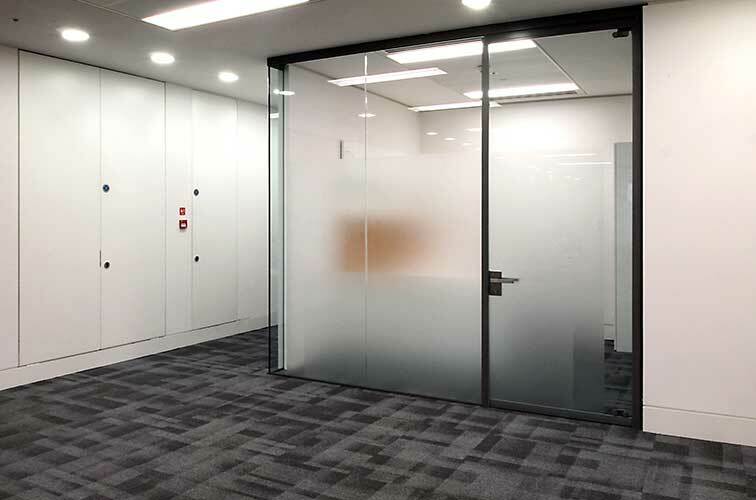 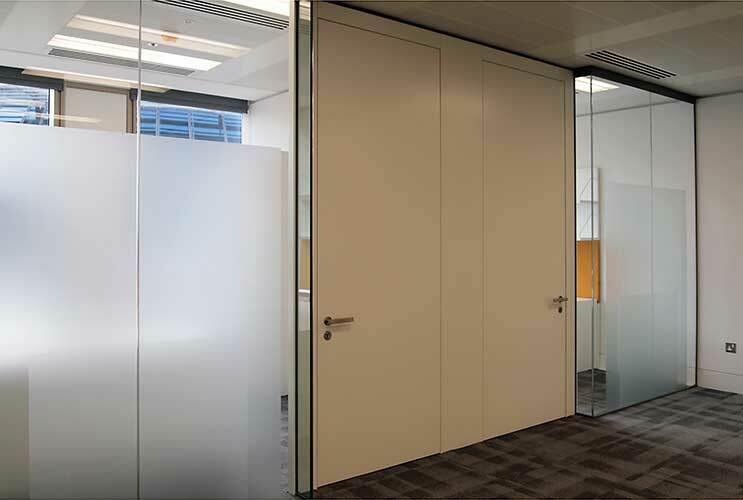 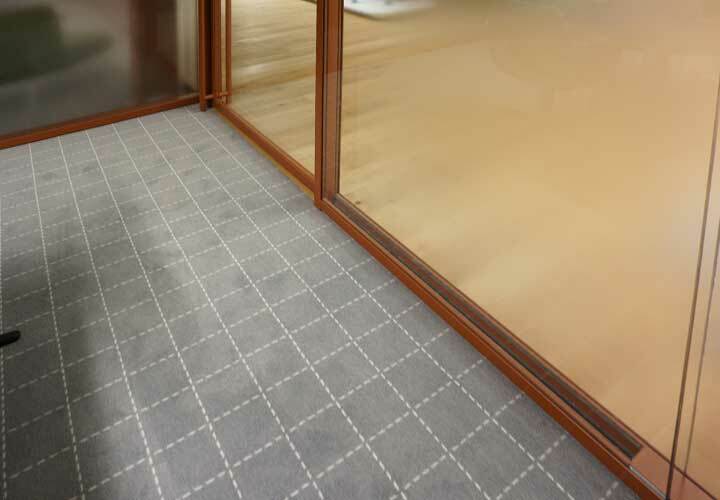 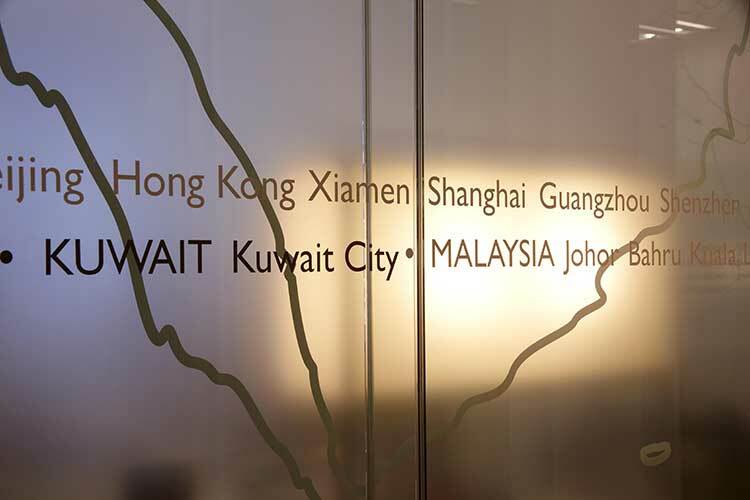 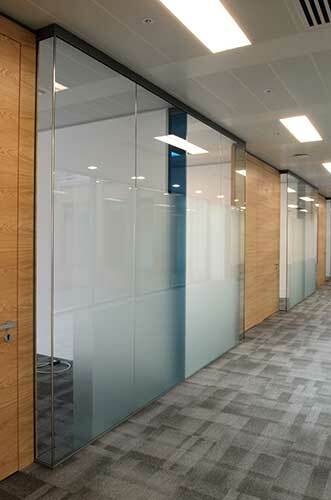 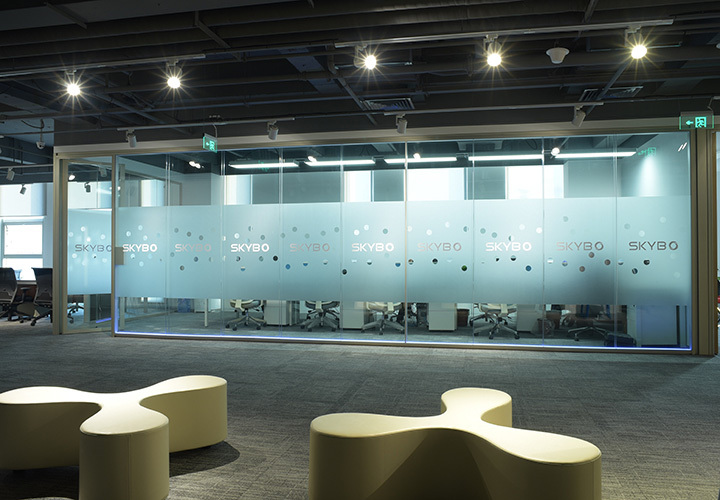 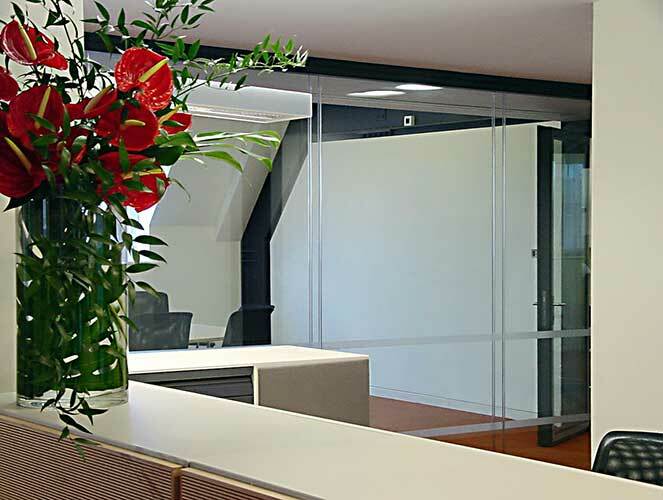 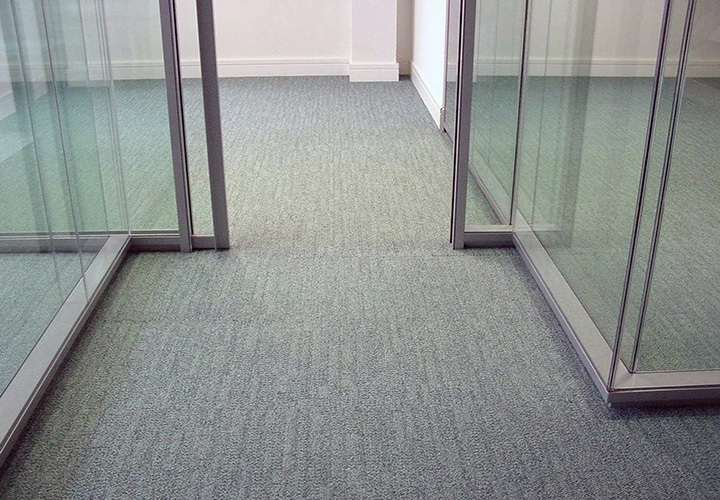 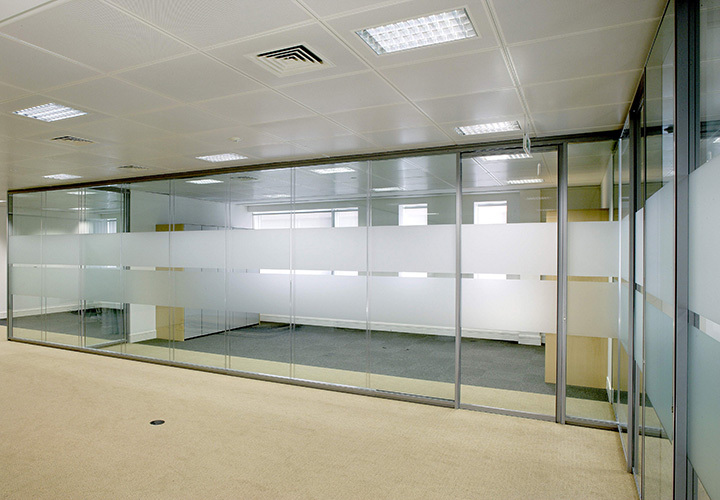 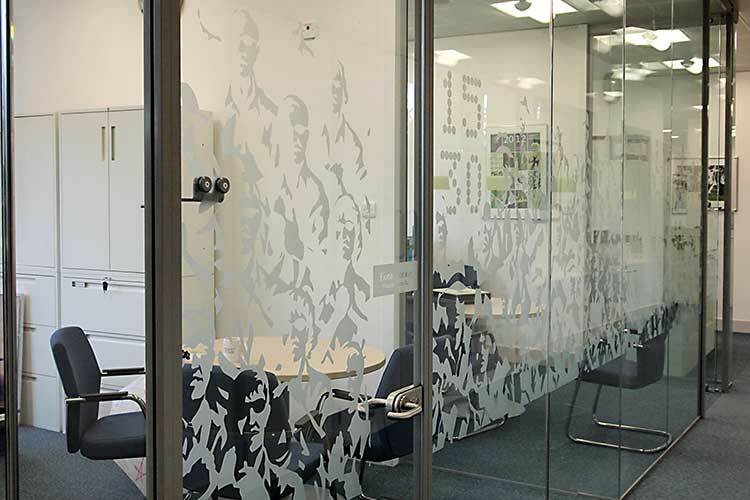 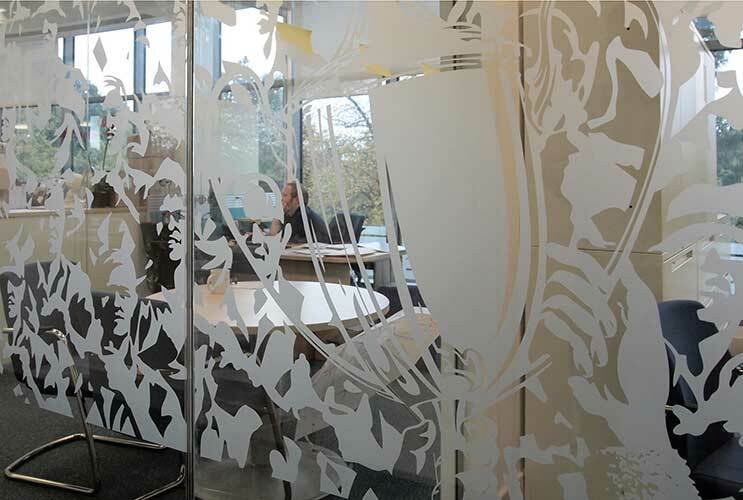 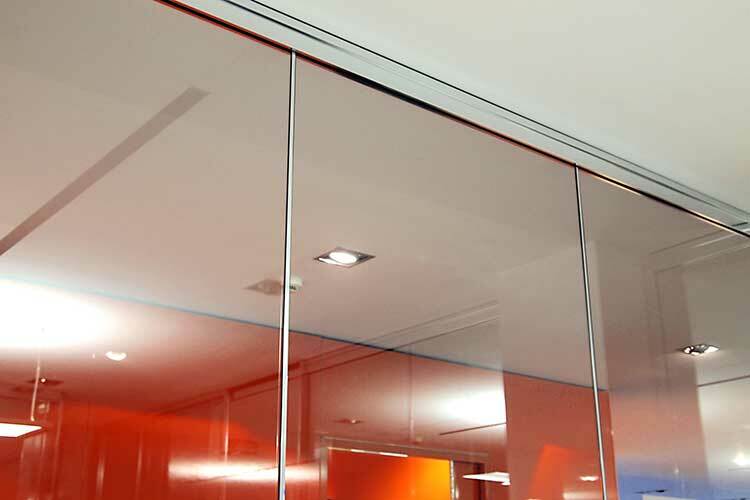 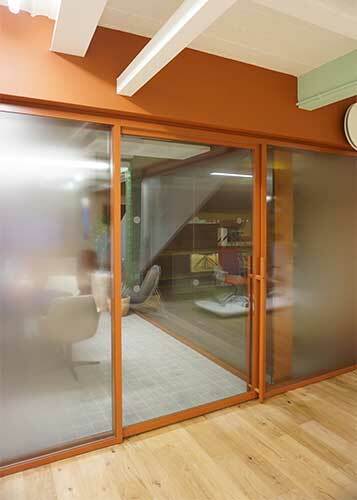 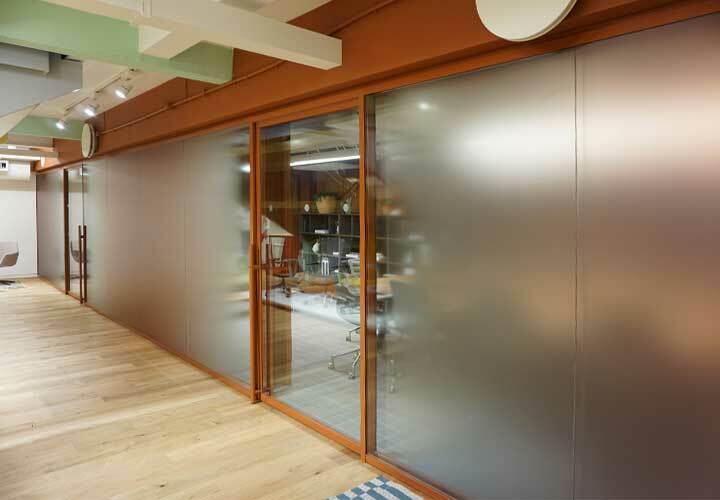 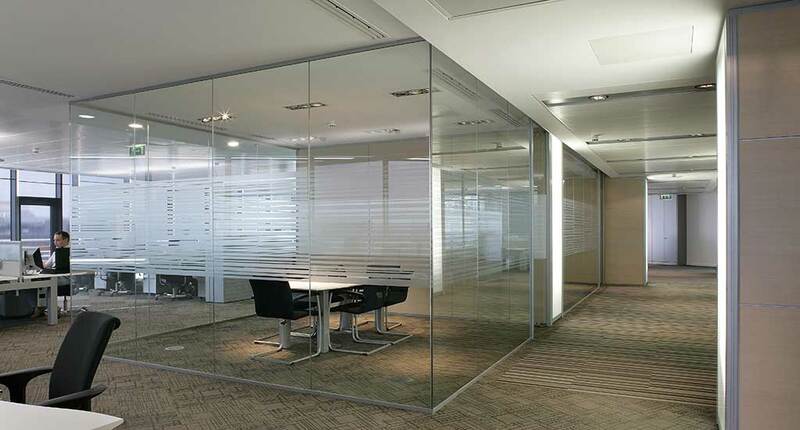 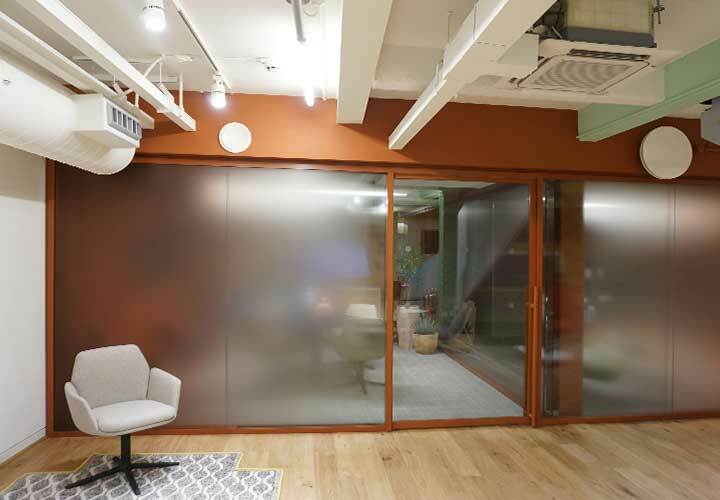 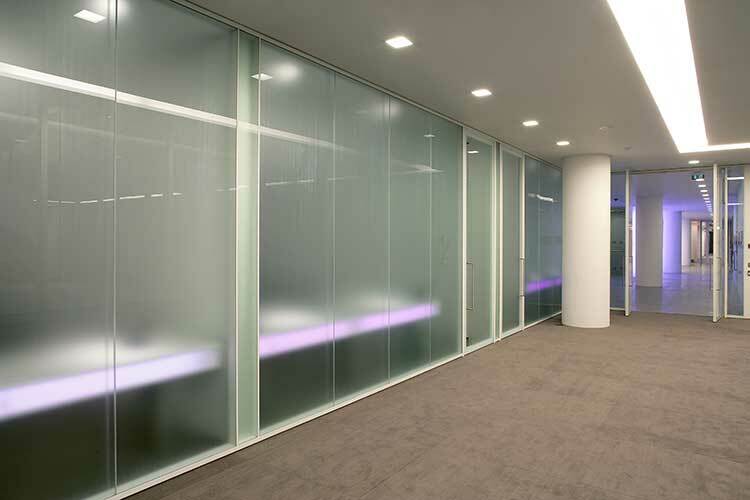 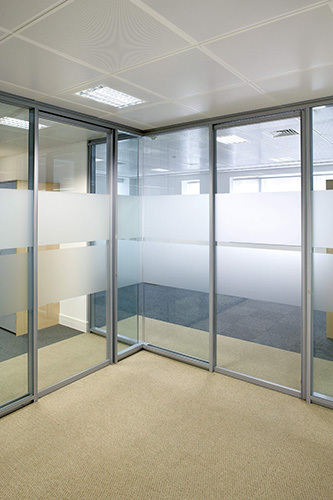 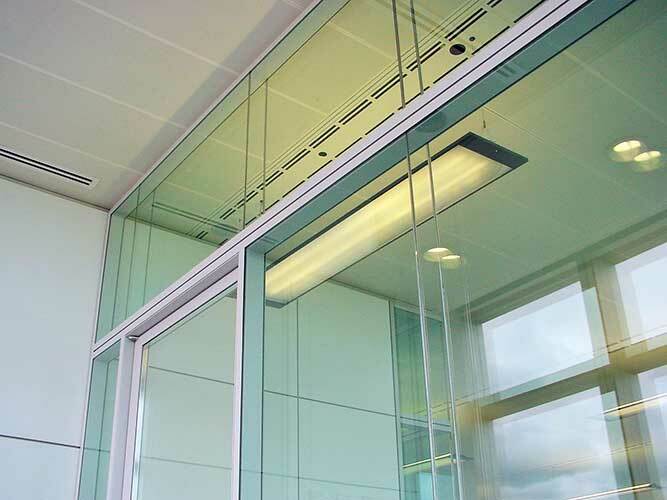 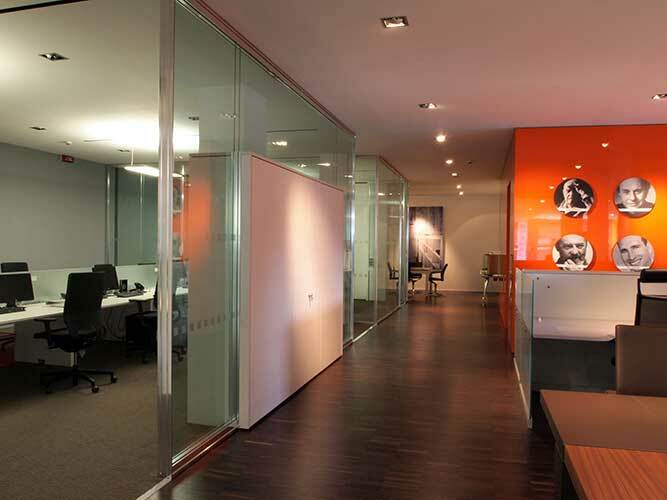 Glass of different thicknesses, or colour, or acoustic characteristics can be used to achieve high specifications and an open look, with matching glass doors or contrasting solid doors. 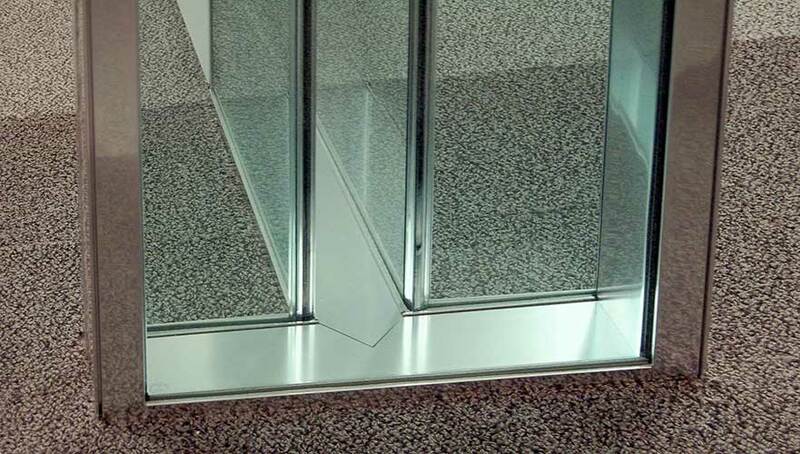 Dry joints can be of a minimal clear appearance or alternatively a contrasting solid finish, usually aluminium. 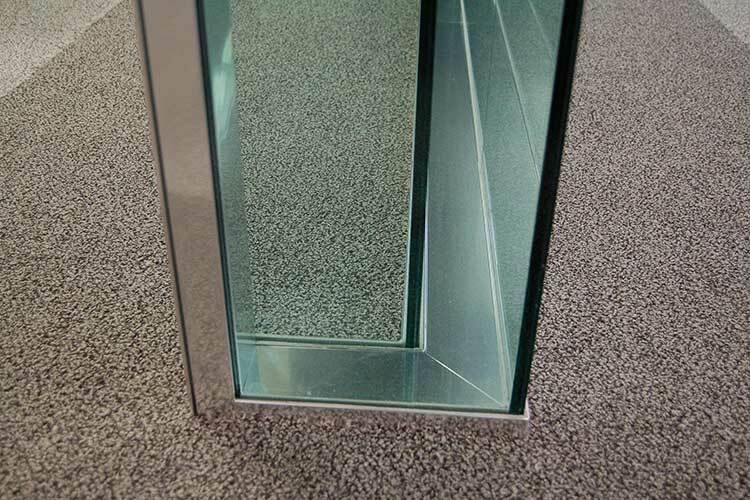 These dry-joints would generally match the glass thickness to ensure modularity for the project and ease of use when re-used in future moves and changes of the partition layout.